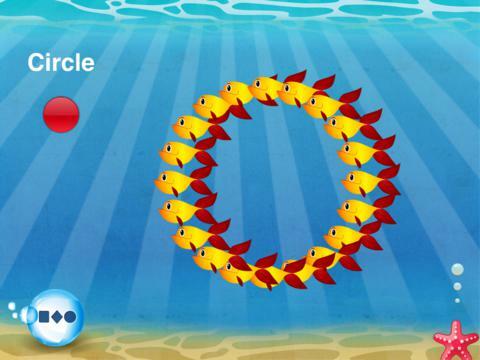 Mesmerizing fish respond to your child's touch to form letters, numbers, shapes and more. One of the truly fantastic preschool apps in iTunes. It is an oldie but still a goodie and it's FREE! 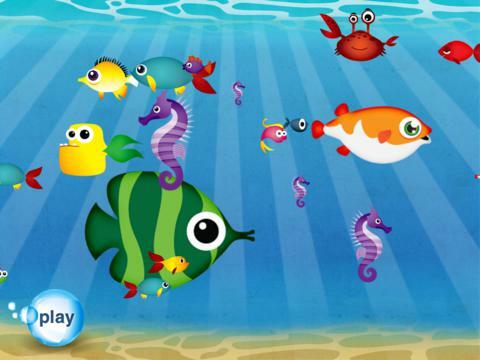 From the creators of the award-winning Wheels on the Bus app, this iPad exclusive (there is a separate version for the iPhone/iPod Touch called Fish School) offers preschoolers eight fish-themed activities. In each activity, schools of fish swim into formations that teach letters, numbers, shapes, colors, matching, and find-the-differences. Accompanied by the spoken word announcing each new formation and examples that help to reinforce the lesson being learned ("F is for frog" where a frog is shown), this is a magical experience. 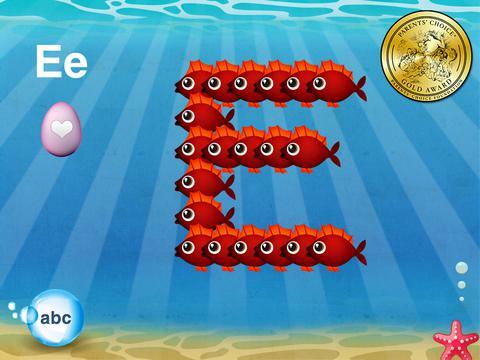 Because this app is so responsive to touch, it is a great way to teach kids letters, numbers, shapes, and colors with schools of fish as their teachers. Little children will be mesmerized by how their every touch makes a new school of colored fish appear. The fish group into formations, so kids learn what a square is by seeing the fish swim into this four-sided shape. Ditto for letters and numbers. 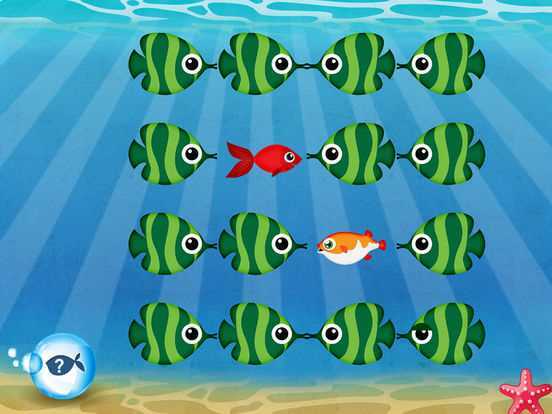 For colors, the screen fills with different colored fish; but when one is touched, the other colored fish vamoose and the screen fills with fishes of the same color. This is the perfect app to use to introduce your preschoolers to the iPad. It encourages exploration and rewards your child's every touch.